I had the opportunity to bake for 7 days in an industrial size kitchen at the summer camp I have been teaching theatre at for the past 10 years! It was SO much fun! I had to bake for over 120 people for three meals a day! So it was time to bust out the recipes that I have been collecting from my favorite bloggers over the past year! 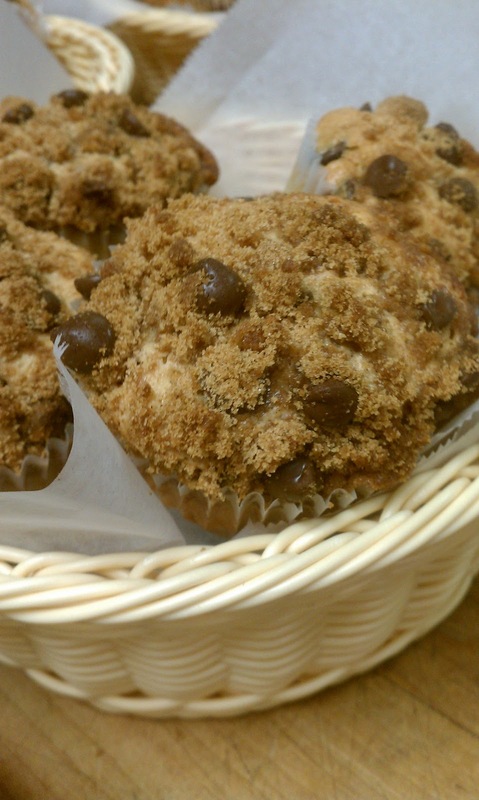 These muffins were a HUGE success! People went on and on about them, loved the crumb topping and kept asking me for the recipe! I was able to multiple my recipe by 8 with no problems with the science what-so-ever! LOOK HOW LOVELY THEY ARE! Sift together the all-purpose flour, cinnamon, baking soda and kosher salt. In a mixer (with the paddle attachment) mix together the sugar, brown sugar, canola oil, eggs and vanilla extract on medium speed for about 3 minutes. Slowly add the dry ingredients into the bowl on low speed and mix until almost combined. Then fold the ingredients together with a spatula. Add in the sour cream. You’ll need to fold, stir, fold, stir, etc. Stir gently, but make sure the sour cream is completely mixed into the batter and not over mixed. Mix the chocolate chips with 1 Tablespoon of all-purpose flour and gently fold the chocolate chips into the batter. 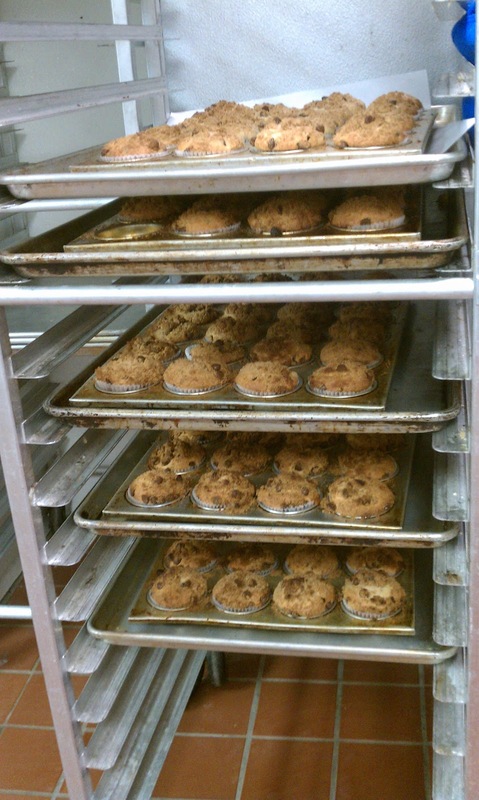 Scoop the batter into each muffin liner. Set the muffin pan aside while you work on the crumb topping. In a small bowl, mix together the brown sugar, flour and cinnamon. Add the diced butter and cut it into the other ingredients with a fork. Add the remaining chocolate chips to the crumb topping and mix them in. 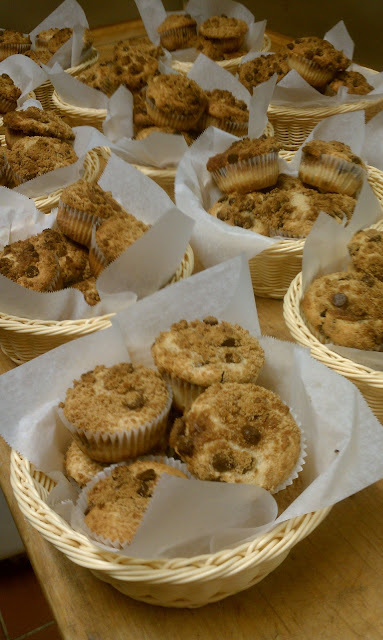 Sprinkle the crumb topping onto the muffins. Bake at 375 degrees F for 23 minutes.